Dr. Vinod Kumar has an academic experience of about 4 years and research experience of about 8 years. His interests of research area are Agro-ecology, Wastewater Management, Environmental Pollution Research and Bioremediation. 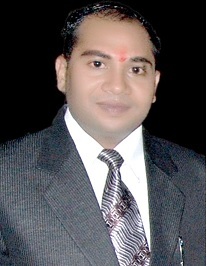 He has published about 30 research papers in national and international journals of repute. He is the founder and Editorial Board member of Journal of Applied and Natural Science and reviewer of about 10 reputed international journals.